As construction picks up with the coming of summer, so too will construction related eye injuries. Two common reasons for these injuries are failing to wear eye protection and not wearing the right type of protection. Discomfort, summer heat, or complacency can cause workers to be inconsistent with their use of safety glasses. Each time they opt to leave their glasses off is a gamble. This is a bad habit because working without eye protection, even if done sporadically, makes an injury likely in the long-term. A projectile in this case doesn’t refer to bullets but to any solid matter flying through the air with sufficient speed to injure the eye. Given the eye’s delicate structure, it doesn’t take much in terms of mass or speed for a projectile to cause harm. Projectile impact is the most common eye hazard in the construction industry. Chopping, chipping, sawing, sanding, hammering, grinding, drilling, and cutting are common construction activities that kick up flying debris. If your work exposes you to this type of hazard, you need safety glasses that can stand up to projectile impact. Note that ordinary prescription glasses aren’t a substitute for safety glasses. They must have an ANSI Z87 rating, which means they have a minimum required impact resistance. This impact resistance applies to the lenses as well as to the frame. If you wear glasses, prescription safety glasses are available. 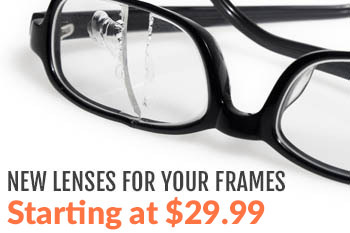 These offer greater convenience and comfort than wearing eye protection over a pair of ordinary glasses. Sanding, grinding, cement mixing, compressed air operations, and fiberglass insulation installation can fill the air with dust. Depending on the type of dust, it can either cause mechanical irritation or a chemical reaction with the eyes. Dust is a problem in enclosed environments because it builds up quickly. However, dust is also a problem outdoors on windy days. You should either wear safety goggles or prescription safety glasses with a seal that effectively function as a pair of goggles. Wiley-X makes safety glasses with a removable foam seal. It provides greater comfort and convenience than goggles. When the dust hazard doesn’t exist, removing the seal converts the eyewear into a pair of ordinary safety glasses. This prevents unnecessary discomfort in hot weather. Glare by itself doesn’t cause catastrophic eye injury. However, it does cause fatigue and headache, which reduce worker productivity. This diminished state makes an accident more likely, especially when combined with the effects of summer heat. Ultraviolet can cause immediate injury if its intensity is severe enough to cause snow blindness. This can happen especially in areas with a reflective ground cover such as snow or sand, or when working over a body of water. Snow blindness occurs within a few hours of exposure to UVB radiation. On the other hand, UVA radiation doesn’t cause immediate injury to the eye. Instead, its damage occurs after years of consistent exposure. UVA exposure happens every day, regardless of the cloud cover or lack of it. You should protect your eyes from both types of UV. If your work exposes you to the sun, a polycarbonate or Trivex lens will block both forms of UV. A UV blocking lens coating will also work. 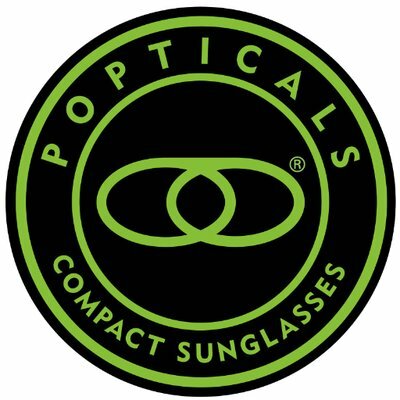 Blocking glare requires either a tinted, polarized, or mirrored pair of prescription safety glasses. Transition lenses, which change tint according to the degree of sunlight exposure, are a good compromise for working both indoors and outdoors. They darken in sunlight and become clear indoors. Prescription safety glasses that protect against the eye hazards of construction work are important. Wear your prescription safety glasses when you’re on the job without exception. For help in getting the right pair for your type of work, don’t hesitate to contact us. We can email you an order form to fill out and send both your frames into us. On the form you would provide your prescription information and select the lens options you would like for the lenses. If you wish to proceed, please contact Melissa at mrichard@phillips-safety.com and she can forward the information on over to you.